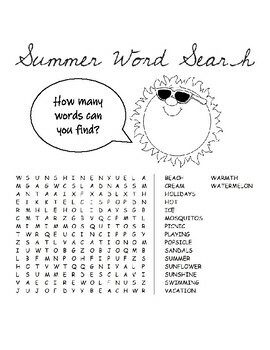 This 5 page PDF product is a great summer themed activity / end of the school year activity that can be used for early finishers, quiet work / independent work, bell work or busy work. 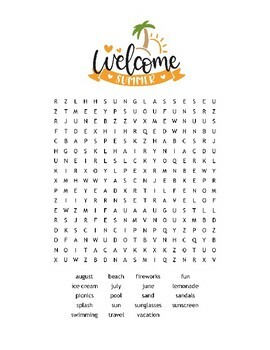 Can also be used as a supply teacher handout. 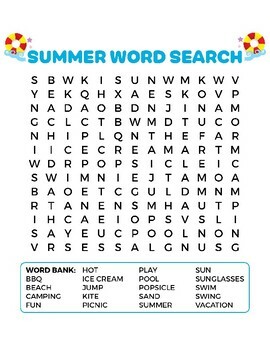 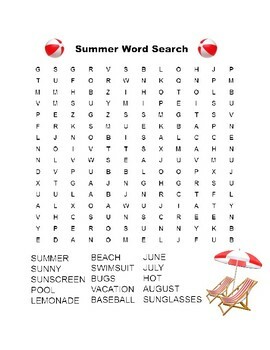 The word searches vary in complexity, from 8 words to be found to 19 words to be found.